​The RAMAN WORKSTATION™ brings versatility and new capabilities to your laboratory whether your application is Discovery, Formulation Development, or QA/QC. 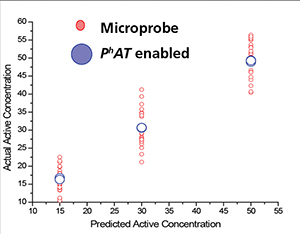 The PhAT enabled RAMAN WORKSTATION™ is based on Kaiser's proven RAMANRXN1™ analyzer and incorporates its PhAT technology to allow users novel methods of Raman analysis. 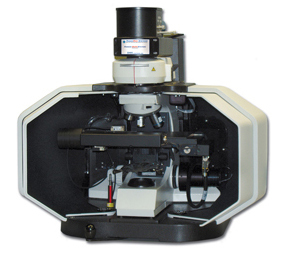 The PhAT approach to Raman sampling redefines solids sampling by eliminating sample irreproducibility and focusing, by measuring a large area of sample simultaneously, and by offering the benefits of non-destructive sampling. The RAMAN WORKSTATION™ combines these PhAT enabling advantages with an easy to use viewing and sampling platform. The RAMAN WORKSTATION™ is designed to provide measurements in minutes. 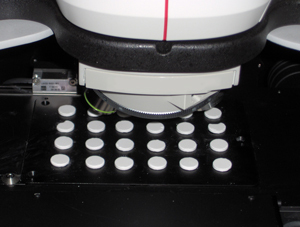 The same measurements can take hours or days on a traditional Raman microscope. The RAMAN WORKSTATION™ can be expanded to provide Raman imaging and transmission Raman measurements with the addition of easy to use accessories. (width × length × height): 23" × 17.63" × 8"
(width × length × height): 26" × 25" × 25"